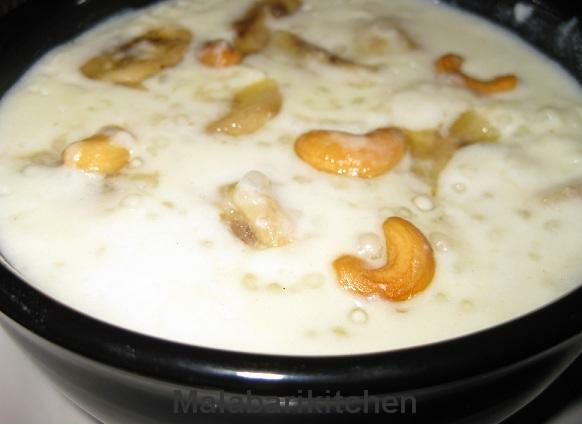 This is a special payasam mainly made for Ramadan time. To make it a solid pudding it is kept in refrigerator for 15-30min. 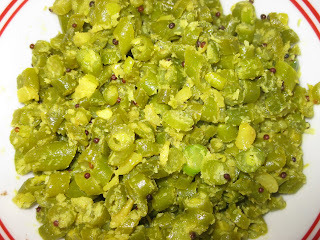 =►Soak chowari in hot water for 10-15min. =►Boil 2 ½ cups of milk in a pan on medium flame. =►When it boils add soaked chowari into it. =►Cook it well, then add sugar and condensed milk(optional). =►Mix it well and switch off the flame. =►Heat 2tsp of oil in a pan put cashew and fry it well. 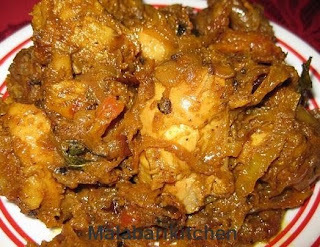 =►Add ripe banana pieces into it and sauté it and switch off the flame. =► Add fried cashew & banana pieces into the chowari payasam.